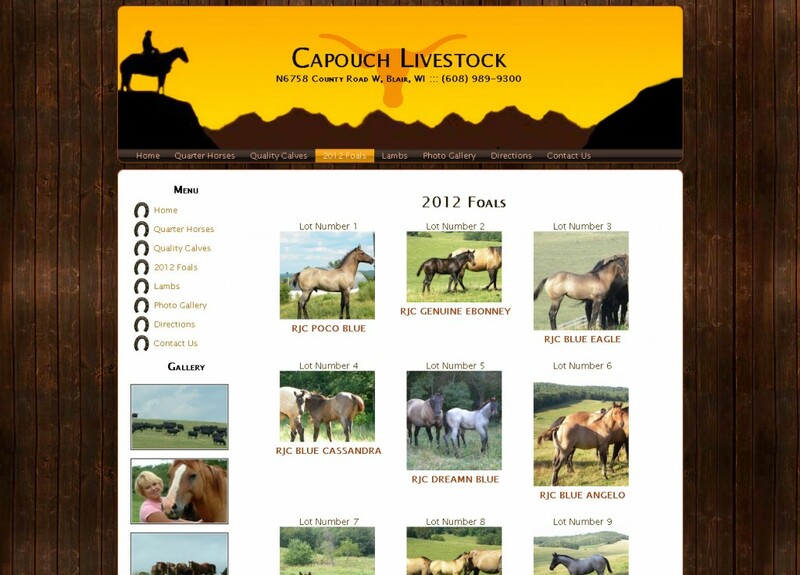 For the Capouch Livestock website, I was originally given two site to work with. I took the information of the two sites and placed it in a custom designed theme. Some interesting features of the website are the horse pedigrees, the easy to use photo gallery, the horseshoe menu items, and the eye-catching header and background image combination.